"What are you praying for that will be around in 60 years or more?" A challenging statement from a recent message at my church. It started the wheels turning. Are your prayers "beyond ordinary"? "What kinds of honor and glory do you bring God when you pray for things that will take care of themselves?" This is NOT to say that we should not pray for any and all concerns--that God places on your heart. 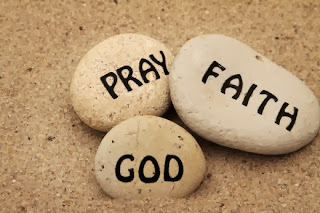 When I pray--I pray about the minutiae as well as the life changing, eternity altering, God seeking, God glorifying. As I have practiced praying over the years, my prayers at times consist of a day long conversation with Him as well as those in the closet on my knees. What are the qualities that mark "Beyond Ordinary Prayers"? 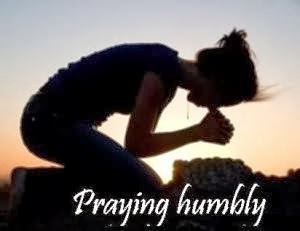 HUMBLE--praying in the spirit of one knowing the majestic-glorious-all powerful-all knowing-all seeing-King--and my condition of human frailty-weakness-lowly-fallen-earth bound flesh. Praying in complete awareness of my limitations and His boundless abilities. Praying beyond me and my needs-praying with His good purpose and glory always in mind. Getting my eyes off my navel and scanning the horizon for the big picture. 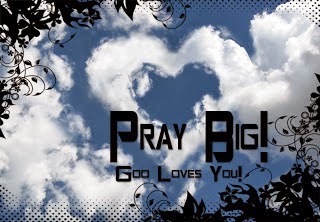 "God will always answer your prayers in the manner you would have it answered IF you could see what He can see." BIG- beyond ordinary prayers are not for the food on the table, safe travel, a good day--most of those will take care of themselves. We are blessed with His provision BUT BIG means just that BIG. BIG is beyond yourself--BIG is eternity impacting--BIG is God glorifying--BIG is world changing and yet BIG can be a cure or healing for that which seems hopeless---Big can be the finding of one who seems hopelessly lost--Big can be an oasis in the endless desert. BIG is always that which we are helpless in ourselves to accomplish and know that we need Jesus to accomplish the task. We will dismally fail without His help. SPECIFIC--no bless everyone in our family, keep all the little children safe, bring the lost in China (wherever) to know You, world peace. Instead name names---name places---name events--name dreams. This IS NOT to say you name it and claim it---false theology. This is to say when your prayers are in the will of the Father and serve to glorify Him --then go before Him with specifics--not generalities. I was inspired and encouraged today with this message. I am thinking about how this will change my prayers and broaden my scope of just who God is. It has lead me to desire for my prayers--my communication with Him to be not so ordinary---but FAR BEYOND ORDINARY!